How are you feeling? Hopefully that appetite of yours is starting to kick in finally. Thank you for the email about Nicole Jacobs. She said to tell Brendan thanks for remembering! Nicole will be contacting your mom in the next week or so. I am excited that this past week is over. It was the toughest week of the training season. I ran 60 miles during the week, something I’ve never done before. Except for finding the time to do all that running, it wasn’t too bad. My muscles, joints, and bones are ready for some tapering but I have one more week before I can easy up. I think I’ll have 250 miles recorded for the end of this month. I didn’t think I’d ever run that much. You are a good inspiration! I wanted to see how far 60 miles is from Boston, so I Goggled it. 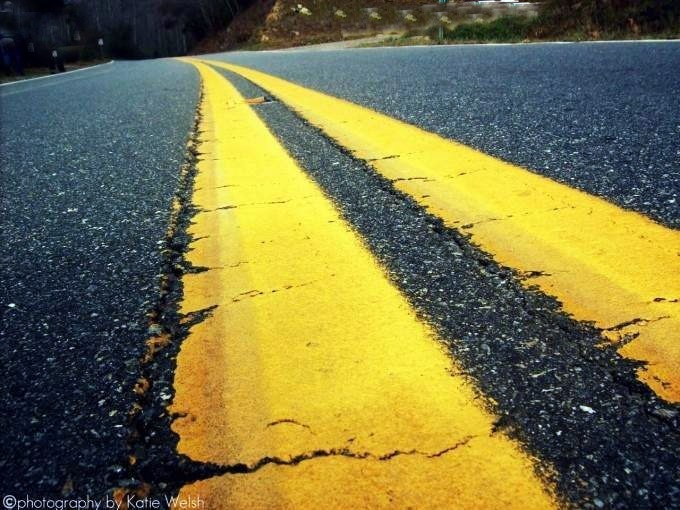 I found and article about a mile marker in Spencer Massachusetts. This marker is is along the Boston Post road which was laid out by Ben Franklin in 1753 when he was Deputy Post Master General for the Northern Colonies. He ordered the that the stones be placed to regulate postal rates. 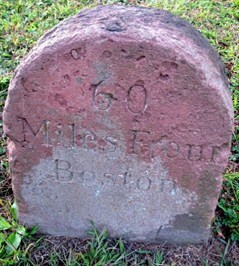 This milestone is inscribed “60 Miles From Boston” The stone is located just to the west of one of the entry roads to a cemetery. The stone is a contributing object in the 1767 Milestones Historic District on the National Register of Historic Places. On Sunday, Nikki and I ran with the L Street Running Club. The bussed us out the Natick and we ran back to South Boston. It was a scheduled 20 mile run but Nikki’s plan was to run 22 and I needed 23 miles. The weather forecast was for the low 40’s with off and on rain showers. We prepared for the worst. A few years back, I ran the same course with the same weather conditions (there was a little stronger headwind). Many of the runners, including myself were close to hyperthermia. That was something I did not want to repeat. This time the running gods were kind to us. The first drops did not fall until the last runner finished. Both of us had a good run. It is a real confidence builder, especially for novice runners. You get to feel the distance, figure out your fueling plan, and practice managing your pace. Nikki brought her phone with her because she knew with the extra miles added on, she would be one of the last runners on the course. She did great! She even took some pictures all the way. We are all signed up for the Pasta Party. I can’t wait. It is so much fun! The deadline is coming up soon, so in case you haven’t gotten yours yet, remind your mom. Take care, and I’ll see you in a week or two! Sorry it’s been so a bit since my last entry. I have been pretty busy. I had a great week of training. I started out the week doing a workout on a Cybex Arc Trainer. I wanted to give my knees and ankles a rest after Sunday’s long run. I have heard it is the closest machine to real running. It was…well, interesting. Not that I didn’t like it, but it was different from using a treadmill or elliptical machine. I will try to add it to my training schedule, at least a few times. On Tuesday, I drove to Newton for a hill workout. I ran from the Newton firehouse to Boston College and back. I was good that I was able to work some big downhills. My quads usually take a beating during the marathon because of the amount of downhill running on the course. This year I want to make sure, I added this type of workout into my training. I went to the gym on Wednesday so I could run on a treadmill. My legs were a little sore from the Newton Hill’s and I wanted to make sure I kept a consistent easy pace for my 5 mile run. It was nice just throwing on my headphones and zoning out for a while. I did not have to worry about cars, weather or how fast or slow I was running. Thursday was sort of my speed workout for the week. It wasn’t about running fast but running at my marathon goal pace. I started with a slow warm up, and then I tried to keep a 7:55 pace for the next 7 miles. It is harder than it looks to run a consistent pace, so I use my watch to keep me in check. Friday was my rest day, which I appreciated. I tried to stay off my feet as much as possible because I was going to the Father-Daughter dance that evening. Both girls looked beautiful in their dresses and we had a great time dancing the night way. The DFMC long run was on Saturday, and I was back in the Newton Hills. It was 18 miles which looked like it would be in the snow but the best Mother Nature could do was some flurries. I second guessed myself before the run and added another layer on. By the first water stop, I was sweating my you know what off. I asked the (awesome) volunteers if I could drop off some clothing. They said no problem and even dropped it off back at the starting location. The rest of the run went very well. I was even able to pick it up in the last couple of miles with plenty of fuel in the tank when I finished. The leg felt great too. It was a perfect run in my book. Sunday was a short slow run in my neighborhood. It was cold and windy. I was glad I wasn’t going to be out in it for long. I finished the training week with 47 miles I am following my marathon plan as closely as I can, but I hope this isn’t over doing it? This week I will be over 50 miles, something I have never done before. On Saturday, my long run will be a 20 miler on Martha’s Vineyard. It should be fun (and I’m guessing a little windy). I can’t wait. The family and I are up at Point Sebago with a couple of families for the President’s weekend. We all just got back from snow tubing. Isabella and the other girls had a blast. They would charge down the hill and rush back to do it again. They were wearing us dads out. I got my long run in this morning. The schedule called for 17.5 miles but I figured why not even it off with 18. So I jumped on Google maps and planned my route. During the summers we would go on long bike rides around the lake but that would be almost twice the distance of a marathon so that wasn’t an option. I decided to just run Rt. 302 for 9 miles and then turn around and run back. When I started out, I was surprised at the amount of ice and snow still on the side roads even after a few warm days. When I took a right onto Rt. 302 it was better but there was a light dusting of snow on the roads along with black ice from the night before . I had to take shorter strides to keep from slipping as I ran. Better too be safe than sorry. The wind decided to make its presence too. I would have to run into a headwind for the next 9 miles. It made me appreciate I nice June run with a gentle breeze. I remembered there being some hills from previous rides but I forgot how many. 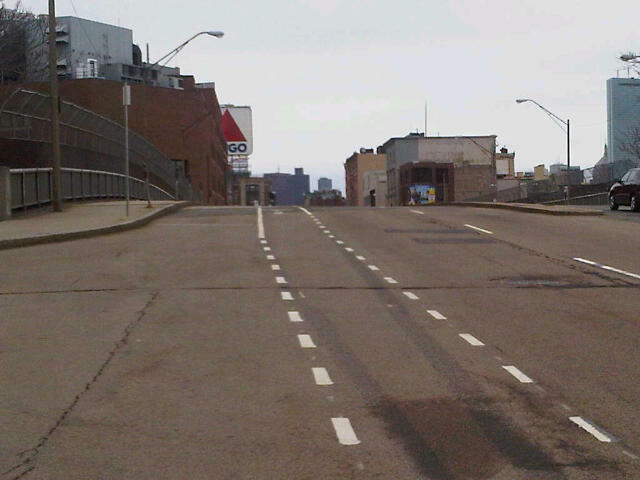 I felt like I was either going up or down a hill and longing for a flat. 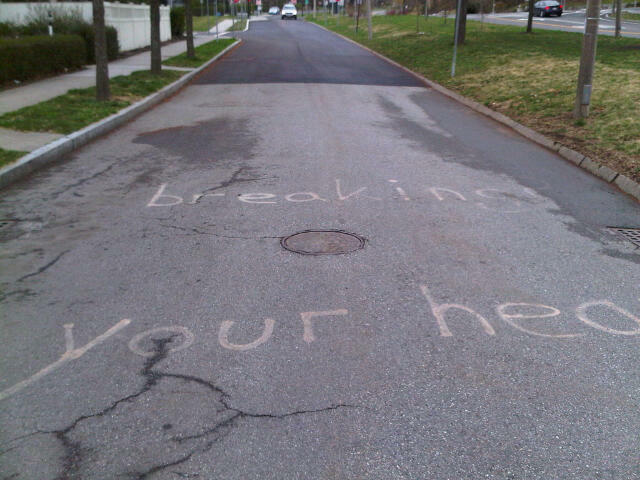 It made for an intense work out. One I may have chosen to be a bit shorterJ. 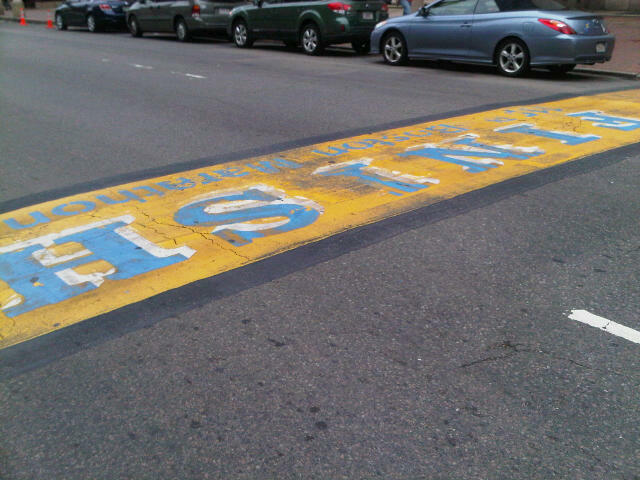 When I got to Mile 9 I was looking forward to turning around. Not because I was half done but that I knew the remaining trek would be better. The sun had melted most the snow on the roads so I could kick up my gate. The wind was now at my back to give me a little push and the hills, well they were still there, but now there would be more down than up. Each mile was better than the next and I got to finish feeling strong. I know my legs will be a sore tomorrow, but that’s ok. It was worth it. When I got back, I was treated to the host’s specialty, Banana pancakes. I usually don’t eat right away when I finish my runs but they smelled so good I had to have some. They were delicious. Well that’s about it. Have a fun weekend and I’ll talk to you soon.